A group of passengers were reportedly robbed by suspected Fulani Herdsmen recently on Benin-Lagos expressway. The bus belonging to Iyare Motors was carrying passengers from Benin city to Lagos when it was attacked by the notorious herdsmen. 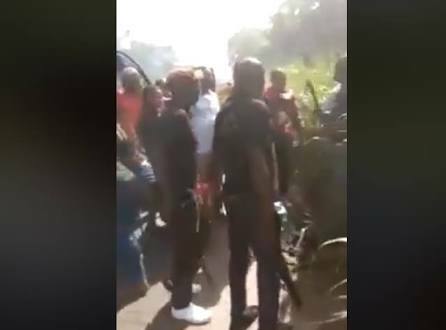 According to Comrade Bright Eguavoen Ogbeide, a corper who was among the victims, after the incident, Police Officers came to the scene but they couldn't do anything because they were afraid and he vowed to petition the Police IG over the attitude of the policemen. A passenger lost his local and international passports while several others were seen crying over their losses.